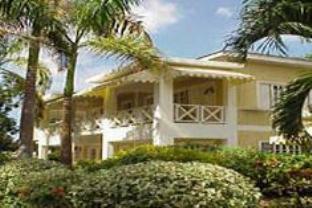 ﻿ Best Price on Merril's Beach Resorts 2 - All Inclusive in Negril + Reviews! Offering an outdoor swimming pool and a private beach area, Merril's Beach Resorts 2 is located 700 metres from Coco La Palm Beach and 3 km from Coral Beach. The rooms here will provide you with a TV, air conditioning and a balcony. Private bathrooms also come with a bath. Extras include a patio and cable channels. At Merril's Beach Resorts 2 you will find on-site water sport facilities, and an array of activities can be enjoyed on site or in the surroundings, including snorkelling. The property offers free parking. The Alfred’s Ocean Palace café bar is 2 km from this property and the Sunset at the Palms restaurant is located within 5 km. This property is 3.2 km from Norman Manley Sea Park Beach and 2 minutes’ drive from Kool Runnings Waterpark. Sangster International Airport is 1 hour and 20 minutes’ drive away.